The Lerner Center for Public Health Promotion (http://lernercenter.syr.edu/) in the Maxwell School of Citizenship and Public Affairs at Syracuse University invites applications for the Lerner Postdoctoral Scholar to begin in August 2019. The Lerner Center, founded in 2011, conducts applied research and evaluation on a wide range of population health and community health topics. The postdoc will work with Dr. Shannon Monnat and other Lerner Center faculty affiliates, staff, and graduate students on research related to social and spatial determinants of health, health disparities, and/or premature mortality. Desirable applicants will have research agendas that align with one or more of the Center’s key strategic priority areas of substance abuse, mental health, tobacco use, diet and nutrition, or physical activity. Candidates with interests in rural health and/or rural demography are especially encouraged to apply. The postdoc will work closely with Dr. Monnat and other Center affiliates to design and conduct community-based research studies and/or conduct secondary analysis of health and other demographic data (particularly related to social and geographic disparities in health outcomes), co-author peer-reviewed publications, publish research briefs for the Lerner Center Population Health Research Brief Series, and present research at conferences. This position will offer exceptional opportunities for collaboration with Lerner Center graduate students, staff, and affiliated faculty as well as faculty and graduate students within the Center for Policy Research (https://www.maxwell.syr.edu/cpr.aspx), the Aging Studies Institute (https://asi.syr.edu/), and the Policy, Place and Population Health Lab (https://asi.syr.edu/policy-place-and-population-health-lab/ . At least 25% of the Lerner Postdoctoral Scholar’s time will be reserved for the individual’s own research. Description: The successful candidate will be able to contribute and help shape the BS in Rural Community Development. The successful candidate will also have the opportunity to collaborate with the newly founded Center for Rural Prosperity and Innovation (Georgia’s Rural Center) by working with rural communities and/or mentoring students in internships/research. Applicants must have a strong commitment to undergraduate education and an interest in ABAC’s undergraduate research initiative. The successful candidate will be a strongly motivated and enthusiastic individual with a firm commitment to excellence in teaching, a well articulated pedagogy, and the ability to foster a collaborative atmosphere among students and faculty. Evidence of successful teaching at a primarily undergraduate institution and scholarly activity is desired. This is a 10-month, tenure-track position. Typical faculty load is 12 hours per semester. Position Summary: The newly formed Department of Rural Studies at Abraham Baldwin Agricultural College seeks to hire an Assistant Professor of Rural Sociology, with appointment beginning on or after August 1, 2019. 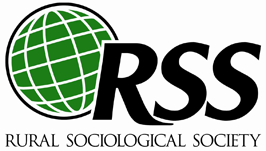 Teaching responsibilities will include courses in Rural Sociology and may include other upper level sociology courses and core courses, such as Introduction to Sociology. Required Qualifications: Evidence of successful teaching at a primarily undergraduate institution and scholarly activity is desired. This is a 10-month, tenure-track position. Typical faculty load is 12 hours per semester. The successful candidate will hold a Ph.D. in Rural Sociology, or a closely related field, with specialized experience/training in rural sociology, and will be expected to participate in undergraduate advising, departmental, college-wide and university-wide initiatives, as well as the development of new courses and improvement of existing curricula. Other duties as assigned. Description: The successful candidate will teach upper division courses in their disciplinary subject area, provide leadership for faculty to develop new upper division courses that support the program, and recruit students into the Rural Community Development program. Candidates will have demonstrated administrative experience in program development, working with interdisciplinary programs and faculties, communities, and fund raising to support the program. Evidence of successful teaching and scholarly activity is essential. Other responsibilities include seeking and designing opportunities for student internships and creating job placement opportunities. Other duties as assigned. Ph. D. required. Finally, the successful candidate will have an opportunity to collaborate with Georgia’s Rural Center (Center for Rural Prosperity and Innovation) which is housed on ABAC’s campus. Abraham Baldwin Agricultural College is a state College in the University System of Georgia. It is in South Georgia and operates five instructional sites. The main campus is in Tifton, Georgia. Abraham Baldwin Agricultural College (ABAC) enrolls approximately 4,300 undergraduate students and offers 15 undergraduate majors with specialized concentrations associated with many of these majors. Tifton is a progressive community known for its quality of life environment and was recently named as one of the 100 Best Small Towns in America. Abraham Baldwin Agricultural College’s goal is to contribute to a better-educated Georgia. To that end, it engages in a comprehensive planning and assessment process, enabling ABAC to build upon its many strengths. The College’s faculty, staff, and administration are committed to excellence in preparing students to be informed and productive citizens.